I asked the students of my differentiated, mastery-based biology for some feedback at the end of the year, and I don't know why I was surprised by their answers. They pretty much summed up exactly what I'd hoped to achieve. 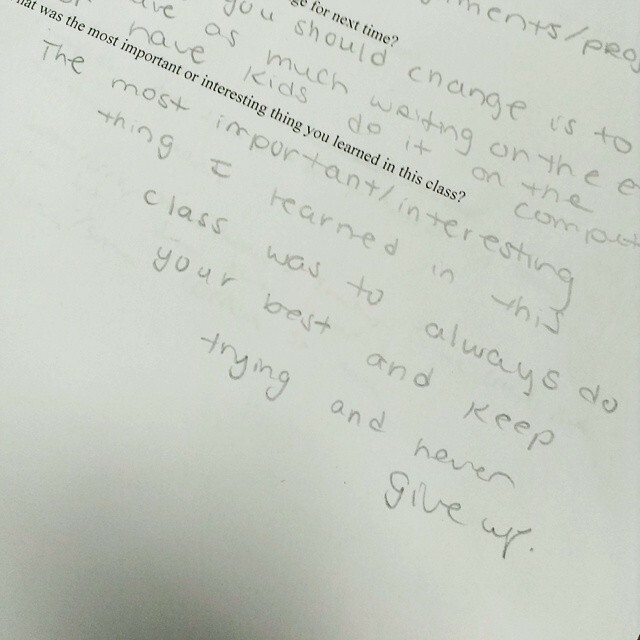 Here's how they answered the question, "What was the best thing about this class?" 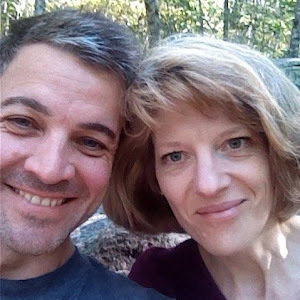 "I liked how we got to work on computers and also how many different projects we could have done." "Having you give us freedom to see how responsible we are, and the due dates so we can take our time learning about the topic." "How we had to learn on our own." "We had fun and learned at the same time. Very unique and creative class." "The freedom of the curriculum." "That we controlled it by doing things on our own." "The best thing about this class were the assignments/projects and Dr. Green." "Everything. All students got along, fun learning, non-stressful, interesting material, good options/alternatives to tests." "How we could do assignments at our own pace." "The freedom of [sic] we can do what we want." "Take things at your own pace." "We go at our own pace on the assignments." "The best thing was not having actual due dates and working in groups on projects for every unit." "The best thing was having an option of how we got to learn." 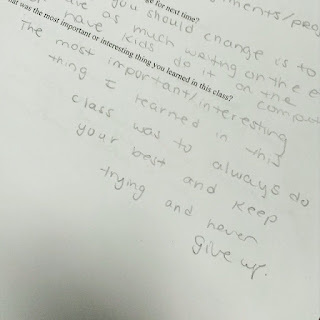 "The vibes this class brought"
And two students blew me away with their answers to "What was the most important or interesting thing you learned in this class?" "School/grades don't define you, but you should try because education is important." "The most important/interesting thing I learned in this class was to always do your best and keep trying and never give up." And that is what it's all about, isn't it?